Laura graduated from University of Helsinki in 2005. 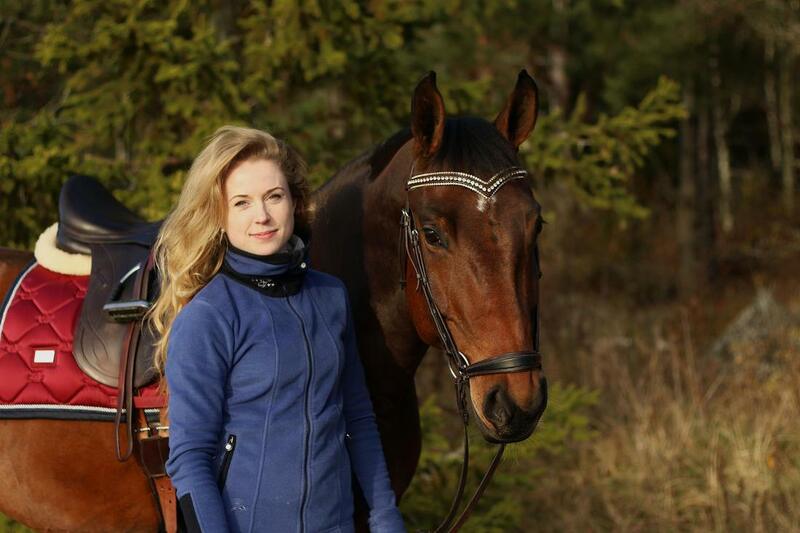 She completed an internship at Hyvinkää Equine Hospital before moving to the United States to pursue a residency in equine surgery at The Ohio State University between 2006-2009. Laura obtained her diploma in equine surgery (DiplACVS) in 2010. After three years in the USA, Laura moved to Sweden to work at Strömsholm Equine Referral Centre (later Evidensia Equine Hospital). After 6 years at Strömsholm she decided to proceed her career as a private practitioner. Nowadays Laura works as a consulting surgeon at Husaby Equine Hospital and Evidensia Equine Hospital. Besides to surgery Laura works a lot with sports horse orthopaedics in her own practise. At home Laura is kept busy by 2 sons and an adorable 7 month old Aussie puppy. Any free time is spent riding and Laura competes actively in dressage with her Swedish warmblood mare Samba.